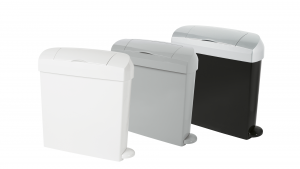 Why Choose Principal Hygiene for Sanitary Bins? To help you make the right decision why not visit our Sanitary Waste FAQ archive, the purpose of our FAQ is to ensure you our customers can source the answers to the questions you often struggle with when trying to decide how to ensure you have suitable provision in your washrooms. • Offensive/Sanitary Waste – How do I manage the Risk?